What Is A Reel Seat? A reel seat is a fishing rod component that basically holds the reel to the rod, usually using locking metal rings or sliding bands. 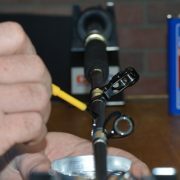 Reel seats always have larger inside diameters than the fishing rod blanks they will be installed on. To get the reel seat to fit properly on the blank, we need to build arbors. You will also need to install an arbor. 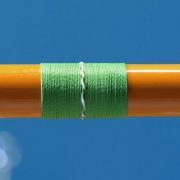 The arbor serves one purpose, and that is to center the reel seat over the blank while the glue sets up. Arbors can be made using masking tape, dry wall mesh tape or by purchasing pre made graphite arbors. Note: For these instructions we will be using masking tape. Begin by wrapping the masking tape around the blank. Start about 1/2 inch away from the rear grip. Wrap the tape until the reel seat slides over the arbor snug. Install another arbor about 1/2 inch back from the front of the reel seat. Then finally install a third in the middle. Apply the glue over the arbors, making sure to completely cover. Then apply glue between the arbors. 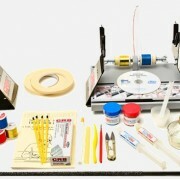 Make sure the glue adheres to the blank and the reel seat. 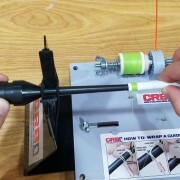 Now slide the reel seat over the arbors and at the same time turn the reel seat 360° to make sure the glue makes full contact with your blank. 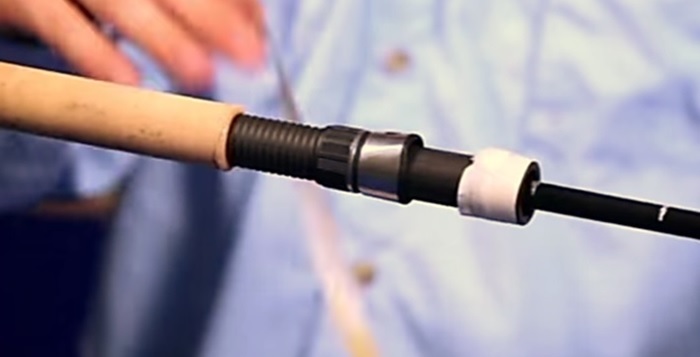 Line up your reel seat hoods with the spine mark you made earlier. 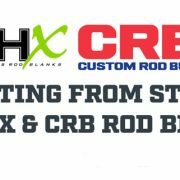 Videos For Arbor and Reel Seat Installs.